Don Steffy, Executive Director of the Indianapolis Children’s Choir, has spent over 25 years working in the field of arts administration. With the combined talents of artist and administrator in multiple disciplines, he brings a unique perspective to his daily work. Prior to assuming his position with the ICC, he came to Indianapolis to open and create operations for the Pike Performing Arts Center. Under his leadership for 11 years, the Center successfully served the community through an array of academic, community, and professional performances. Mr. Steffy had the pleasure of presenting Marcel Marceau on his 50th anniversary tour, and popular pianist George Winston graced the PikePAC stage on three separate occasions. Actors John Astin, John Amos, Anthony Zerbe, Roscoe Lee Brown, comedienne Georgia Engel, and Jazz vocalist Dee Dee Bridgewater added to the array of talented artists he worked with during his tenure. Mr. Steffy enjoyed a full career as a classical ballet dancer, alongside his wife Marylou. Performing in ballet companies in the United States and Europe they danced the works of notable choreographers such as George Balachine, Robert Joffrey, Gerald Arpino, Paul Taylor, Ruthanna Boris, Anna Sokolow, Frederic Franklin, and William Dollar. He and his wife also performed in the original Broadway cast of Seven Brides for Seven Brothers – Starring Debbie Boone. He performed for a year and a half in the full Broadway run of the Tony Award-winning revival of On Your Toes, directed by George Abbott and starring famed ballerina Natalia Makarova. Prior to arriving in Indianapolis, he held the post of Artistic Director for the Montgomery Ballet, a professional ballet company located in Montgomery, Alabama. Mr. Steffy holds a B.S. Degree in theater and dance from Kent State University. He has been a grant panelist for the Indiana Arts Commission adjudicating in the categories of Individual Artists, Major Arts Organizations, and Regional Arts Partners. He has also been a grant panelist for the Southern Arts Federation. He is a past two-term president of the Indiana Coalition for the Arts and a presenter at two separate Indiana Music Education Association (IMEA) conferences on the topics of Arts Administration and Arts Advocacy. He has served on the faculty of the MFA program at the Alabama Shakespeare Festival and was a member on the Arts Advisory Council for Auburn University. He is also a recipient of one of NUVO’s Cultural Vision Awards. 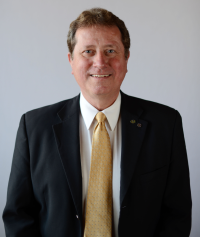 Currently Mr. Steffy is an active member of the Rotary Club of Indianapolis where he serves on multiple committees as well as a board member of the Rotary Foundation of Indianapolis. In 2014, Mr. Steffy Co-Chaired Rotary’s successful city-wide day of service known as Indy Do Day! This initiative engaged over 18,000 volunteers from over 300 businesses and community organizations. He was a union representative under both Broadway and Dinner Theater contracts and is a current member of the Screen Actors Guild and Actors Equity Association. Privatization in schools can be very do my essays navigate to this website cost effective.